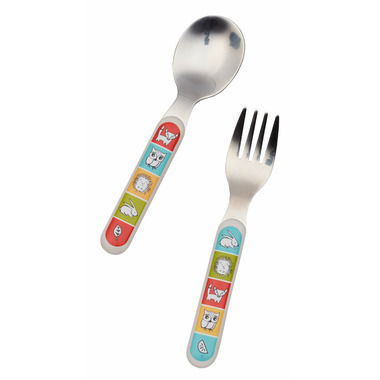 The Meadow Friends Silverware Set is the best way to dive into mealtime. 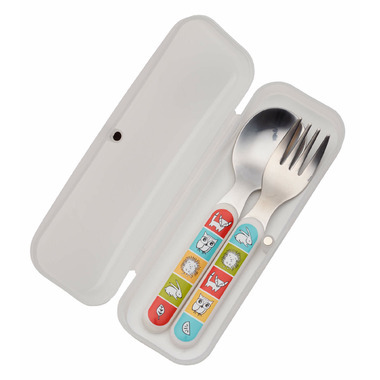 Sized just right for little hands to grip, each set is packaged in a re-usable carrying case that's perfect for packed lunches or play dates. A great way to maintain clean silverware or keep dirty silverware contained. Also includes a space for writing your child's name on the front.